Dexion Over Rack Platform Installations are storage platforms that have been designed with walkways to provide a pedestrian picking aisle. 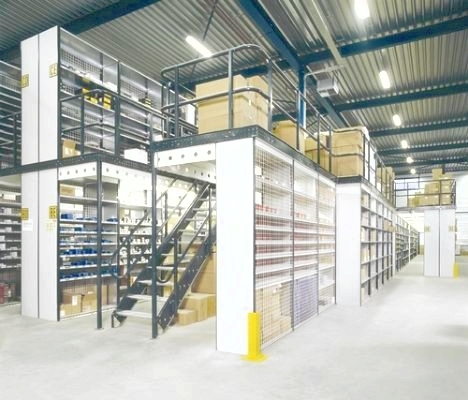 They are raised storage areas on top of rack platform installations and are perfect for warehouses where space is limited and hight is available. Over rack platforms are a great solution if you require a safe bulk area that can be accessed by forklift trucks, as well as a small parts storage, or picking area. You will need to consider how products will be transported to and from the storage areas to dispatch areas. We have a range of conveyors, goods lifts and pallet access gates for you to consider. HMF want you to get the very best out of your new racking solution. We will support you in finding a solution that meets your business needs. Additionally, we will advise on suitable access and means of escape so that your installation is compliant with fire protection and building regulations. 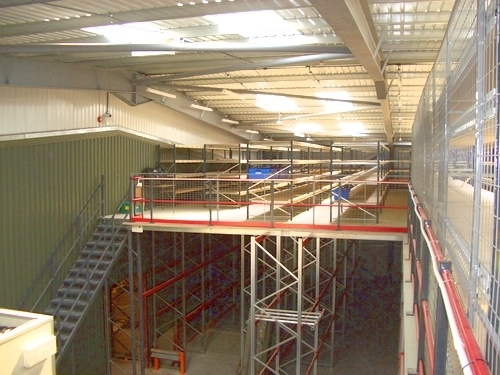 Hampshire Mezzanine Floors can carry out safety surveys and provide a full rack repair service for existing over rack platform applications.